Opposition broadcasting spokesperson Melissa Lee once made publicly-funded TV programmes for a niche audience on TVNZ. Now she has a bill before Parliament to force the funding agencies to reveal more about the audiences the programmes attract. Last week a Members Bill drafted by National's broadcasting spokesperson Melissa Lee was drawn from the ballot. If passed into law, it would oblige New Zealand on Air on and Maori broadcasting funding agency Te Māngai Pāho to release data every three months on who’s consumed the content they fund. (e) the breakdown of associated costs for the programming funded. Currently only figures for NZOA's top ten most-watched TV shows are made available online. This also bothers broadcaster Mike Hosking. 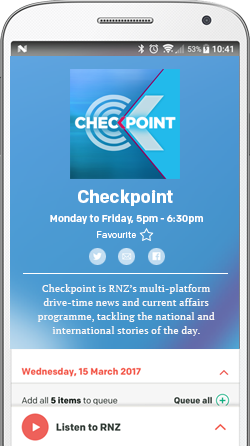 "New Zealand on Air already funds an absurd amount of rubbish that no one watches," Mike Hosking told his ZB listeners last Monday. "Broadcasting is entertainment and information, and it needs to either pay its way - or, if it's subsidised by the taxpayer, it has to have an audience," he said. But the system is designed to deliver most of the public money to programmes commercial TV broadcasters think New Zealanders will watch. Big-budget projects only get funded if a major commercial TV network agrees to screen them in the first place - and TVNZ and MediaWorks rarely screen shows in prime-time which they don't think can pull crowd. Lee understands the funding system well. From 1994 until she entered Parliament in 2008, she worked on the country's only television programme about New Zealanders of Asian origin - Asia Downunder - which was funded by NZOA. Lee co-owned the company Asia Vision which made the show and she was the public face of many of the 600-plus episodes aired by TVNZ. She also knows what it’s like to be on the receiving end of calls for greater transparency in the use of NZOA funding. On his Public Address blog, broadcaster Russell Brown noted that NZ On Air is committed by law to funding programming for various niche audiences “which can't sensibly be measured simply by commercial ratings” and some are funded precisely because they would not be made in a wholly commercial system. "There must be a mandate to provide and support local programming to foster these identity issues, because without it our children will never be empowered," she told Parliament. National's statement celebrating the Bill drawn from the ballot hinted that low-rating programmes could be scrapped - or even not made in the first place. “It would also offer a chance to refresh the existing disclosures and funding analysis by the agencies before projects are confirmed or renewed,” said the statement. "As a TV producer I used to struggle to find out how many people were watching on a Sunday morning. The public have the right to know and it would help the producers as well," she told Mediawatch. "I know ratings are not everything and the way they do the ratings is probably antiquated and not the best gauge of viewership now especially as not everyone is watching linear television any more," she said. "There are programmes funded by New Zealand in Air that are purely digital and I don't think they are being measured," she said. Lee does not believe scrutiny and criticism of low-rating programmes prompted by the regular release of audience research stats would make it harder for NZOA or TMP to commission programmes which fulfill the requirements of the Broadcasting Act to serve niche audiences - such as her own Asia Downunder. She said even if the audience is low in an off-peak timeslot it will still be helpful to know how much of the available audience is watching a funded show when it screens. 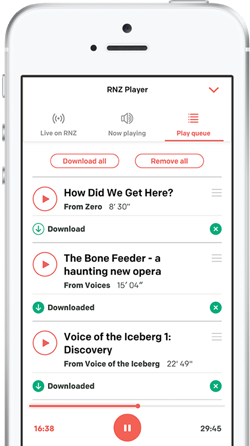 The latest NZOA Top Ten features politics show Q+A at number 5 with an estimated 125,000 viewers. The programme now screens at 9:30 pm on Sundays. It previously attracted only a fraction of that audience when it was screened at 9:00 in the morning. Wouldn't it be better to ensure the broadcasters and funding agencies screen the funded shows at times when they are likely to get a significant audience? "I can't dictate what the broadcasters will do - but having the numbers of people watching is a start to be able to (identify) really good programmes that more people could be watching at another time," she said. Is this Bill a means of keeping the heat on a political rival as much as it is a push for greater transparency? "You're making a huge thing out of a small Bill. It is not a political thing and the genesis of it is my time as a TV producer," she told Mediawatch.